I wasn't expecting a great deal from this but was pleasantly surprised. 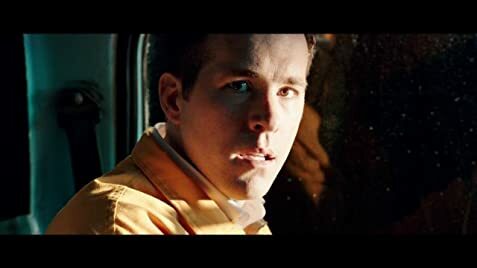 I do like Ryan Reynolds and I think he played this perfectly, giving the slightly comedic element whilst still portraying someone suffering from extreme mental health problems. Showing us the difference between the medicated and unmedicated character was well done and although there were one or two points I would question, overall the balance was handled well. I liked that the character had a well thought out back story and his desire to be "normal" as well as the torture that he couldn't be really came across. I would give this one a go if you enjoy quirky films with a bit of an edge. Gemma Arterton and Ella Smith were also in the movie St Trinian's 2: The Legend of Fritton's Gold (2009). Fish: Hey Jerry, how you doin', man? Jerry Hickfang: Well, I'm a little bit bummed. Fish: No duh, she stood you up! Jerry Hickfang: I'm sure there's a reason. Fish: I sure hope so. Wish I could help you Jerry... uuh, but I'm just a fish. Near the end of Jerry's first interaction with the headless Fiona, the rest of her body can briefly be seen in the refrigerator before he slams the door shut.